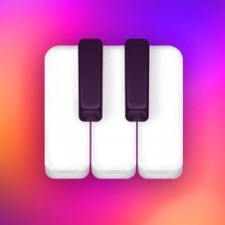 Gismart’s virtual keyboard Piano Crush launched at No.1 in the US App Store’s music app chart last week. The music-making rhythm game beat out competition including Spotify and Soundcloud during its launch week. Piano Crush aims to gamify music and help younger users develop a better sense of rhythm. Piano Crush is a follow-up to one of Gismart’s most successful titles, Piano, which has acquired over 100 million downloads to date. “We hope players will enjoy playing the best of classical repertoire using “kids’ choir” piano sounds and we fully welcome players’ suggestions about new sounds they'd like to see in the game,” said product manager Eugene Krylov in a statement. This August, Gismart partnered with ad mediation platform Appodeal to publish a range of casual and hypercasual titles - on top of Gismart’s continuing range of music, entertainment and utility apps.